This year’s theme: Lights. Camera. Cure. Until this year, Gloucester County has hosted two American Cancer Society Relay For Life events, one in Washington Township and another in Mullica Hill. This year, that is changing. On June 8, the merger of the two events will commence and is dubbed Relay For Life of Gloucester County at Clearview. Cooney has served in her position for four and half years but has volunteered at the event for 16. Her daughter is a survivor of leukemia. Every year and at every Relay For Life event across the globe, a dollar goal is set. The money raised from each event goes toward cancer research, education and prevention efforts, creating information services, the 24-hour cancer hotline and more. With the merger of the two county events, the Gloucester County at Clearview relay aims to bring in $80,000. According to Cooney, Mullica Hill’s 2017 relay raised $40,500 while the event in Washington Township banked $75,000. Just three weeks before the event at Clearview Regional High School, Cooney said $50,000 has been donated with 134 participants making up 22 teams and counting. This year’s theme is “Lights. Camera. Cure.” Teams will decorate their campsites with their favorite movies in mind, and there is even a theme lap planned. Adding to the fun, Clearview’s relay is also the only event one can find human foosball this year. Gloucester County’s relay will begin with the survivors’ ceremony during which cancer survivors will be recognized along with their caregivers. They then will open the relay by taking the first lap around the track. After the lap, the survivors are served dinner by the Mullica Hill Rotary Club, something that adds a real “community feel,” Cooney said. Next Sandy Loveface, an Inspira oncologist, will be recognized as the Honorary Healthcare Champion. “She was selected by her peers at Inspira and has made a significant contribution to oncology care,” Cooney said, adding that Loveface is a longtime Relay For Life volunteer. Starting at the beginning of the relay, “luminaria” bags will be scattered about and people are encouraged to make donations. The bags can be decorated in memory of somebody who has lost the battle to cancer or who is a survivor. Come nightfall, the stadium lights will dim and battery-operated candles within the bags will illuminate the area. 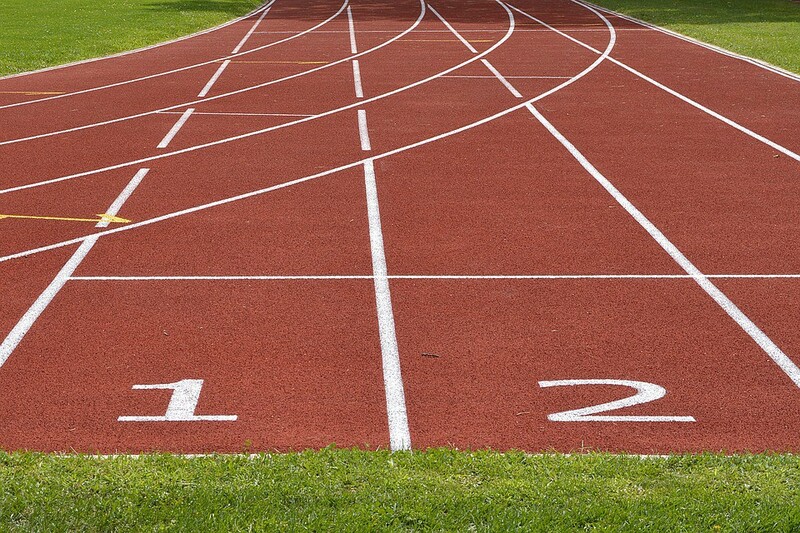 A silent lap with all participants will take place. Relay For Life of Gloucester County at Clearview is set for 6 p.m. to midnight, June 8, at Clearview Regional High School. To sign up, visitwww.RelayForLife.org/GloucesterCountyNJ.